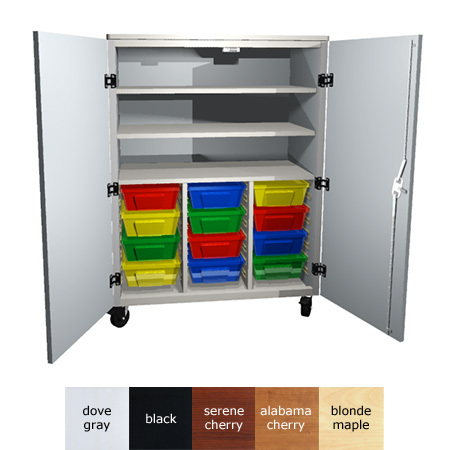 TOC482468 Tray Organizer Cabinet - no trays 329 lbs. 24HT 24 Half-Height Cubby Trays 80 lbs. 12FT 12 Full-Height Cubby Trays 60 lbs.